Are you unhappy with the way that your hair look all of the time? Do you throw it into a ponytail or bun just so you can get out of the door? Does the straight hair you have seem impossible to keep healthy and looking great? If you answered yes to one or all of these questions, you don’t have to fret any longer. These natural care tips will help you to have gorgeous hair that you can be proud of. First of all, it is important that you take an honest assessment of your hair health. If you have been coloring it or using a lot of treatments on it, your hair could be suffering damage that makes it even more difficult to care for. Give your hair a break for at least a few months while you work on rebuilding the health of your scalp and hair. You need to use a gentle shampoo and conditioner on your hair to keep it clean and soft. However, that doesn’t mean that you need to create a huge lather and then slather on a bunch of conditioner as a follow up. Instead, you should use as little product as you can to get the job done. Focus the natural shampoo on the roots and the conditioner on the hair shafts. Rinse quickly with both products to reduce the contact time. Don’t wash your hair every day. Although this might sound unpleasant, it is really better for you. In the beginning, your scalp will still be producing too much oil. This is because your body attempts to compensate for the oils lost during shampooing. However, the excess production will begin to subside as your scalp adjusts to the healthier routine. Start by switching to every other day, eventually stretching it out to every three days. Also, don’t wash your hair in hot water. This further strips the hair of natural oils, and damages the follicles and shafts. Instead, use lukewarm to cool water for your hair care. A good natural shampoo will begin to remove the product buildup that could be making your hair dull and lifeless. Depending on the products, frequency and amounts, you might need two or more shampoos to completely remove the traces of these unhealthy products. If you use a hair dryer, turn it off before your hair is completely dry. Let the last bits of the water evaporate naturally. If you wait until your hair is bone dry, it is likely that you are going to have fly-away hair. An easy correction if your hair is already flying around is to use coconut oil. Place a minuscule amount in one palm. Rub your hands together vigorously until the oil has completely melted and is being absorbed by your skin. When it seems as though there is no excess, gently run your fingers through the fly-away areas. Brush thoroughly, and you should see a noticeable difference in the way that your hair looks and feels. Many people want to use natural products in their hair. DIY hair care products are one way of ensuring you get a natural product. However, you don’t need to know how to make a hair shine serum. Just by looking around you can find a natural hair shine serum that works well for your hair and your budget. In the past finding a natural hair care product meant looking in your local area for a health food store or natural product market. With the internet, you are able to find these products online and have them shipped to your door. You can use a search engine to find natural hair care products. Make sure the product’s manufacturer is dedicated to producing natural products. If you want your products to be organic, cruelty-free, or made using fair-trade products, look for information regarding the manufacturer’s sourcing policies and make sure they fit your requirements. Just because a product is natural does not mean it’s right for your hair. Most products are created to work on certain hair types and textures. Make sure your hair matches the product’s specifications. Is your hair dry or oily? If it straight, curly, wavy, or frizzy? Is it thick or thin? Has your hair been damaged by heat? Do you have hair loss because of age or illness? This information can help you choose products that don’t just make your hair shine, they also make your hair look healthy. If you’re not sure what type of hair you have, ask your hair stylist. They should be able to assess your hair’s condition and tell you what type of hair you have. Your stylist may also be able to recommend some natural products you can use to add shine to your hair. Some hair shine serums have active ingredients that can improve the condition of your hair. They may contain vitamins, minerals, herbs, and other ingredients that can add moisture to your hair and help repair hair damage. The hair serum you choose may also be part of a hair styling or hair care set. These are products designed to work together to give you clean, shiny hair without needing to apply serum as often. While a product might look great in a commercial or appear to be the right one when you buy it, there’s no guarantee that you’ll get the results you’re looking for. The only way to know is to test it. Use the product over a period of weeks. If you’re also testing out other hair care products give it time. Only try one hair care product and hair styling product at a time so that you know which product is giving you the results you need. The testing phase may take some time, however, in the end, you’ll find a hair shine serum that works well for your hair. This will be a product that meets your guidelines as far as being natural and works well for your hair. See now about hair care. There are many different serums that you might apply to your face. Some are prescription, some are over-the-counter products, and some are even products that people make for themselves at home. They also serve a number of various purposes, be it cleaner skin, younger-looking skin, or just trying to manage a condition or even prevent one. Whatever the case, the secret to success is finding the right serum, identifying the appropriate dosage, and then going about the proper application of it to the facial area. What Is Face Serum? Why And How To Use It? The facial area is a very common body part to see serum use, and for many reasons. For starters, it’s a part of the face that is very commonly seen by other people, as humans tend to look each other in the eyes when talking to one another, and smiles are very important too. The constant exposure of the face to the elements doesn’t help though, as the mouth is often used for eating and talking, and the nose is needed openly for breathing. The area around the eyes, nose, and mouth, and even going to the ears, see a lot of wind and sun, as well as exposure to the rest of the elements. So, it’s easy to see why a facial area might need a serum, especially if you consider that you’re constantly touching it with your fingers, possibly coming into contact with food, and even blowing your nose or having tears and sweat run down. Working with a doctor or dermatologist is a great way to find good serums to keep your face looking young and healthy, but the proper application is also necessary. Every serum is different, but many might need to be applied consistently across the overall facial area in order to prove effective. However, does the face need to be cleaned first? Does it need to be dried? Does morning, afternoon, or evening application matter? Will it wash off in a shower or swimming pool? Can residue be left on pillows? These are all questions that must be answered for each specific serum that you might use. On top of that, you need to be sure you know how to apply a serum to your face without putting it places that it shouldn’t be, such as your nose, mouth, and eyes. You want to cover the skin to get the desired effect, but you don’t want to sting your eyes or go blind in the process. What Is The Best Argan Oil For Black Hair? If you have African American hair, you are probably already aware that there are a few things you need to do to keep your hair in good health. Black hair typically lacks the ability to naturally moisturize or to retain moisture. The best type of moisturizers for this hair type will need to penetrate deeply into each hair shaft and finding the right types of products can often be a complex task. The most essential thing when it comes to black hair is to keep it moisturized. This means investing in the type of hair products that offer these benefits. One of the best products to help you keep that moisture inside your hair would be Argan oil. One of the best types of this product available on the market would be Pura D’or Moroccan Argan Oil 100% Pure & Usda Organic. Here is what you can expect from this product. Pura D’or Moroccan Argan Oil is 100% pure and made from organic and pure Argan oil. The oil is unrefined and cold pressed and free from any chemicals. This product is also free from synthetic fragrances, is gluten free, hypo-allergenic, color safe, and free from artificial colorants. Argan oil is a versatile product that you can use on your face, body and hair. It gives back flexibility to your skin and reduces fine lines and wrinkles. You can use this oil to heal and treat a dry scalp and also to treat a variety of skin conditions such as very dry skin, psoriasis and eczema. Argan oil is also efficient and gentle and can be used every day. It is a fantastic moisturizer for the skin and will leave your hair feeling smoother, softer and shinier. It keeps fizziness at bay and will make styling your hair a lot easier. When you use this product on a regular basis you will soon find that your hair will no longer be dry, brittle or damaged. http://www.thinkhealthyskincare.com/wp-content/uploads/2017/03/logo.png 0 0 Kelly Edwards http://www.thinkhealthyskincare.com/wp-content/uploads/2017/03/logo.png Kelly Edwards2017-11-22 07:00:192017-11-22 07:00:24What Is The Best Argan Oil For Black Hair? Ichthyosis is a genetic skin condition which manifests itself in the form of dry, scaly skin which is sometimes thin, but sometimes thickened compared to normal skin. The term ichthy comes from the Greek word for fish. The condition is quite common, with 16,000 babies born each year with some variation of the condition. The condition cannot be cured, but it can be managed using proactive treatments to reduce the symptoms like ichthyosis treatment cream and to treat infections and flare-ups. Depending on whether the skin is thickened or thinner than normal, a dermatologist may recommend a peeling cream such as salicylic acid to remove excess skin, along with a moisturizer to hydrate the healthy skin. Another option is to use antiseptics or antibiotics to reduce the symptoms of infections from broken skin. Steroid treatments are not used, because they will not help with the symptoms. In some cases, bathing in salt water or urea could help to reduce the appearance of scales. Gentle, unscented moisturizer is useful for relieving dryness. Ichthyosis is a genetic family of conditions, and there are many different variations of the condition, with slightly different characteristics. The condition is hereditary, and it is not caused by a bacteria or virus, although someone with ichthyosis types may find that they are more vulnerable to infections if their skin becomes cracked or damaged. The condition itself is not contagious, however, and contact with someone who has ichthyosis is not dangerous. The clearly visible nature of the condition can be a source of distress for many sufferers, however, because those who do not understand what it is may worry that a sufferer is unclean in some way. Having dead skin cells on your face or body will leave your skin appearing dull and old. Removing the dead skin can greatly reduce how old you look and help prevent breakouts and clogged pores. There are a number of ways to accomplish this, but one of the easiest is to use a glove that thoroughly exfoliates your skin. The first thing that you will want to do is get your skin wet that you desire to exfoliate. Soaking in a bath is one of the easiest ways to fully wet the skin, but doing so in a shower is acceptable as well. Giving your time to soak is ideal, however, as the dead skin will be much easier to be removed. You should then cleanse the skin. This will remove as much dirt and debris as possible. Exfoliating without cleansing can lead to debris clogging your pores, so it is very important to remember this step so that you can avoid any further skin problems. Once your skin is moist and clean you can put on the exfoliating glove. You want to use the glove against your skin in a firm, yet gentle fashion. Many find that moving their hand in a circular motion helps to lift and exfoliating dead skin cells easily. It is best to start with your face while the glove is the cleanest. Be sure to be extra gentle on your face to ensure that you do not end up making it raw or susceptible to dry skin. After you use the glove to exfoliate your face you will want to work down your body, paying attention to problem areas. Some of these include your elbows, tops of arms, shins and ankles. If you are doing this in the shower you should sit down to do your ankles and feet as to avoid getting dizzy. As you address each area you will want to rinse it to ensure that you have removed all of the dead skin. If there is skin that does not easily rinse off you will want to address the area further until no more skin can be removed. Using an exfoliating glove every day can make the process a lot easier. It allows you to be attentive to detail and requires less work than other options. Once you give it a try you will likely wonder why you haven’t been using one all along. Should You Use a Loofah Washcloth for Exfoliation? When it comes to taking care of our body, many of us automatically think about what goes inside. Although it certainly is important to care for what we eat and drink plenty of water, it is also true that we should care for our skin as well. After all, if it is true that beauty is only skin deep, we certainly would want to take care of that beauty in the best way that we possibly can, even if it is only the visible part of it. One of the questions that has always come up is if you should use a loofah washcloth for exfoliation. There are many different ways to clean the body and some people have a definite opinion on what is best. Some people may consider using a regular washcloth, because they can provide a gentle form of exfoliation while at the same time, working on cleaning the skin topically as well. At the same time, however, a washcloth can hold onto bacteria so if you don’t clean them every time you use them, you could be in trouble. A loofah washcloth, however, provides many different benefits. The same benefits that you see from a washcloth are also available with a loofah but they tend to exfoliate even more. This is especially beneficial during the times of year when our skin tends to be dry and flaky. In addition to removing the dead skin, a loofah can also help to improve circulation to the area and allows our skin to be as healthy as possible. Of course, you would also want to consider the product for exfoliating that you are using. Some people tend to just grab one and use it but this can be problematic, especially if you’re using it on your face and the rest of your body. It may accomplish the purpose that you want of exfoliating but when you think that you are taking dead skin cells from below the neck and bring them to above the neck, it can really be a problem. 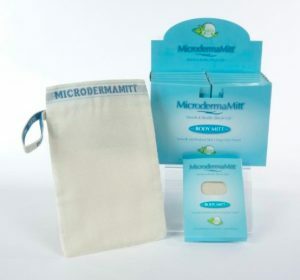 The only things that I would recommend when using a loofah for exfoliation is that you dry it out properly after you use it or for more details you can visit microdermamitt.com. Of course, you would never want to use it after somebody else did and you should replace it on a regular basis, perhaps once a month or so. http://www.thinkhealthyskincare.com/wp-content/uploads/2017/03/logo.png 0 0 Kelly Edwards http://www.thinkhealthyskincare.com/wp-content/uploads/2017/03/logo.png Kelly Edwards2017-09-27 12:04:302017-09-27 12:04:39Should You Use a Loofah Washcloth for Exfoliation? If you have patches of thick scales on your skin, you might be dealing with ichthyosis. This skin disorder is inherited and it causes your skin cells to produce dry scales. This disease is sometimes known as fish scale disease because the dry patches resemble scales. Ichthyosis can make you very self-confident and you are probably not going to want to show your skin when you have it. The patches can also itch and sometimes they crack and bleed. In extreme cases, you can get infections when the patches crack. If you have ichthyosis you are going to have dry scaly skin that looks like scales. Your scalp is likely to be flaky as well. You might need to start using an anti-dandruff shampoo to get rid of the flakes. One of the worst parts of ichthyosis are the cracks you can get in your skin. This can be painful and hard to control and there is always the chance that cracks are going to get infected. Most people get ichthyosis on their elbows and legs. If you have it on the shins it can look dark and also be extra thick. You can have severe or mild ichthyosis and it is often worse in a cold and dry environment. Living in a humid and warm environment can be helpful if you have ichthyosis because your symptoms are likely to be reduced or even eliminated. There are easy ways to improve the condition of your skin. One of the best ways is with a skin firming scrub. Many people do not realize how easy it is to use this type of scrub. It will actually make your skin firmer by aggravating the top layer. It also removes the dead skin cells that are on this top layer. This can lead to premature aging. By doing this every day, you should have no problem at all looking better than ever. Here is how you can find the best skin firming scrub that is available. You can go to your local store and find this scrub that is available. The other way as you can go to a dermatologist. They will have exactly what you need, allowing you to start using their treatments, or they can recommend something that is a prescription strength. Either way, you are going to find it very easy to improve the way that you look by using the scrub on a daily basis. As long as you are using moisturizers and natural exfoliation at the same time, you will have no problem at all looking your best. In most cases, people can see results in as little as a couple of days. It may take others’ a few weeks. It depends on how old you are, what you are trying to accomplish, and the type of skin that you have. It also depends on the type of skin firming scrub that you are using. Once you have found one that works for you, you will notice a definite difference. It should be one of the best and most dramatic changes in your skin that you have ever seen. It’s hard to believe that by simply scrubbing your face, you can begin to firm it up, allowing it to look as it did several years ago. Best of all, you can switch from product to product, testing all of them out. By switching them in this manner, you can actually condition your skin to compensate, and it will continue to look even better. Find best exfoliating mitt that suits your face type and skin.